I was recently sent a copy of Christian Mohn’s new book “Learning Veeam Backup and Replication for VMware vSphere” to review, and as ever this is my honest opinion of this book. I am not receiving anything other than the copy of the book for this review. I don’t work for a vendor, so I have no axe to grind! The book starts of with explanations of basic backup strategies and explains principals like Grandfather-Father-Son media rotation and RPO/RTOs. From there it dives into the architecture of Veeam BR and its components. The remainder of chapter 1 covers a walk through of the installation of the product. Chapter 2 covers the configuration of backups, and gives some background into the different types of backups within Veeam, their drawbacks, and how Veeam have addressed them. For example solving the problem of having to combine incremental backups with the last full, which Veeam solve with synthetic full backups. The chapter also covers backup proxies, and configuring backup jobs, copying to tape or remote repository, and the WAN accelerator. The next chapter walks through performing restores with Veeam, including full VMs, VM files (like a vmx) and VMDKs, and guest OS files. Chapter 4 covers the replication part of Veeam Backup and Replication, and after explaining the differences between backup and replication it covers the infrastructure required before stepping through the set-up of a replication job. It also covers the process for fail over and fail-back, and here is one example of where I’d like to see some comparison - e.g. with VMware’s SRM, which has a similar feature set. The fifth and final chapter covers some of the more unique features of Veeam’s offering, and I thought it provided a good explanation of those features - here is where I think walk through of setup/config would be most valuable, but it reads more as a feature list than a learning guide. I found the writing style easy to read and I thought it flowed quite well throughout the book - this is always impressive when the author’s first language isn’t English. I did find that I had to keep reminding myself that the book is specifically written about a single product rather than a more agnostic approach - I felt it read more like a vendor produced document. Personally, I would have liked some comparison with other well-known backup products to ground it a little and perhaps some more real-world explanations to distinguish it from vendor install documentation. Perhaps that’s a little unfair as the book is specifically about that one product, and there is added value in the explanations provided. 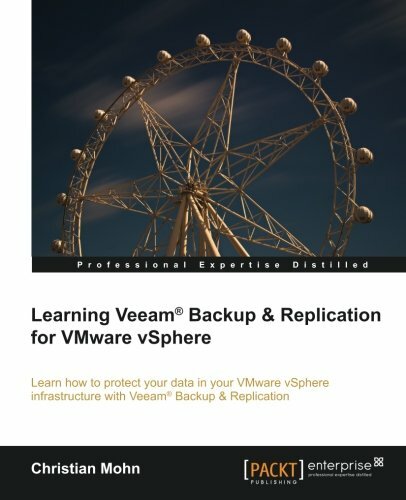 The introduction specifically states that it’s aimed at “vSphere administrators looking for an introduction to Veeam Backup & Replication v7 for VMware” and it definitely does provide that.